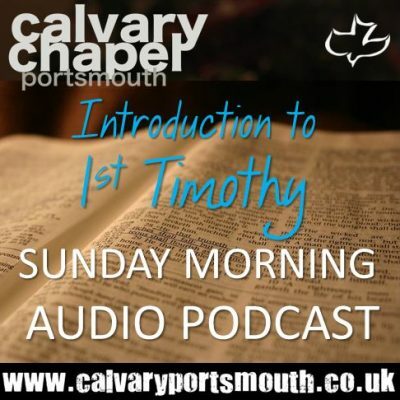 This teaching was recorded at Calvary Chapel Portsmouth family service on 20th January 2019. In this study, we look at the historical background that brought the Apostle Paul to Lystra where a young 13/14-year-old Timothy first heard him preach about Jesus of Nazareth, whom Paul claimed was the promised Messiah of Israel! On that occasion it almost cost Paul his life, being stoned and dragged outside of the city, left for dead. But then, surrounded by the faithful believers, who were no doubt praying, Paul miraculously got up and headed straight back into the city! What must his enemies thought! But what too must a young impressionable boy have made of it? Around three years later Paul returned with Silas to find a faithful young Christian man with an obvious calling on his life to pastoral ministry.